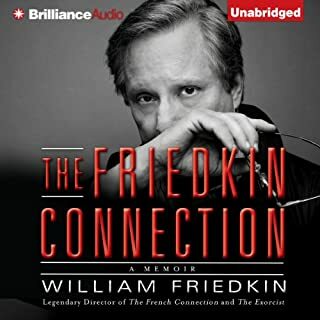 With such seminal movies as The Exorcist and The French Connection, Academy Award–winning director William Friedkin secured his place as a great filmmaker. A maverick from the start, Friedkin joined other young directors who ushered in Hollywood’s second Golden Age during the 1970s. Now, in his long-awaited memoir, Friedkin provides a candid portrait of an extraordinary life and career. Great book for either fans of Friedkin or those who just want to fall asleep.